Full payment is required to secure your spot. Please pay through PayPal from the specific tour product page (links are here). Returning students, please Contact Ken before making your discounted payment. Full payment is required to secure your spot. Contact Ken before paying so he can get you PayPal info. Returning students, please Contact Ken before making your discounted payment. Pre-payment allows time to secure insurance, etc. Payment is due when registering for the class. A cancellation fee of $50.00 will be assessed for cancellations more than 21 days. A cancellation fee of $150.00 will be assessed for cancellations closer than 21 days. A cancellation fee of $300.00 will be assessed for cancellations closer than 7 days. I will refund the remaining fee via PayPal as soon as I receive the cancellation request. If the participant(s) can reschedule within the current riding season, then a $50.00 cancellation fee will be applied. Specific situations may require alterations to this policy. A cancellation fee of $50.00 will be assessed for cancellations closer than 21 days. I will refund the remaining fee via PayPal as soon as I receive the cancellation request. A cancellation fee of $150.00 will be assessed for cancellations closer than 7 days. If the participant(s) can reschedule within the current riding season, then a no cancellation fee will be applied. No cancellation fee will be assessed if cancelled more than 30 days before the event. A cancellation fee of $25.00 will be assessed for cancellations closer than 14 days. I will refund the remaining fee via PayPal as soon as I receive the cancellation request. We run rain or shine! In the event of inclement weather, which is defined by very heavy rain or dangerous storms, I may request that we reschedule. Light rain does not constitute inclement weather. If rescheduling is not possible we will cancel the training day. This will not incur a fee. All participants must possess a current and valid driver’s license with a motorcycle endorsement. Riders must have a minimum of one (1) full season of riding experience and about 3,000 miles or more of recent on-street riding time. 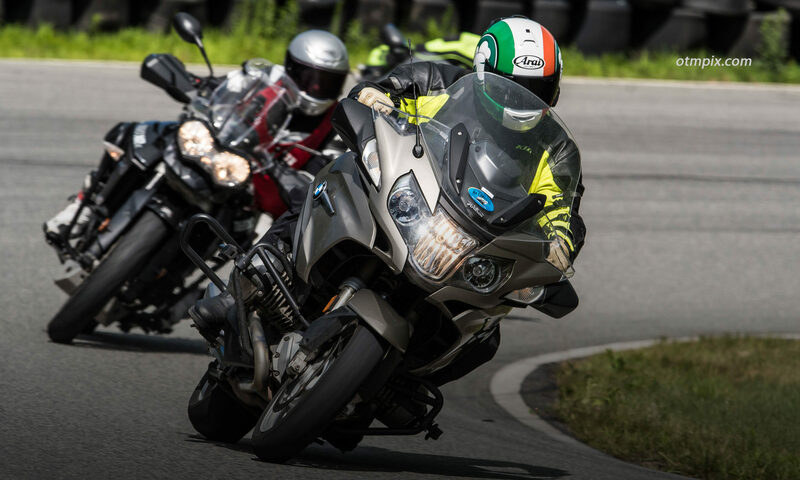 Riders are encouraged to adopt the practice of “ATGATT” (all the gear, all the time) with motorcycle-specific riding gear. Minimally, participants are required to wear a DOT-approved helmet, eye protection, sturdy full-length pants, jacket and over-the-ankle boots. You MUST have medical insurance that covers you when riding your motorcycle. Participants are required to supply their own motorcycle for use during the tour. Currently, no motorcycles are provided (although we can often recommend rental companies). Motorcycles must have current registration, be in good operating order, have tires with at least half tread. Excessively loud exhaust systems do not typically work well on our tours because they can interfere with one or more participant’s ability to hear radio commentary. Most aftermarket exhaust systems that add “character” are fine. If you have any concern about your bike’s exhaust system and suitability to our program, please contact us to discuss. You MUST have current and valid motorcycle insurance. Back to the Training Tour Main Page.